Brights have for many years provided a very personal Lettings and Management Service to their clients. We pride ourselves on trying to pick the right tenant and doing what is most beneficial for the property and the landlord to have a trouble free let. Finding these tenants and not rushing the rental process comes down to many years of rental experience within Bideford. Starting with an initial and free consultation so as to provide potential rental advice, whether the property should be furnished or unfurnished, current safety regulations and the type of tenants likely to be considered suitable. Each property and proposed arrangement is individually assessed but these are usually in the region of 12% - 18% including vat (i.e. 10% to 15% plus vat) of the gross rent collected. (Only applicable if in conjunction with Management instructions). An amount equivalent to 60% of one months rental including vat (i.e. 50% of one months rental plus vat) is payable for finding and introducing a tenant, taking up references, notifying authorities and service departments etc. Should it be necessary to arrange subsequent lettings, letting fees would be payable in each case, together with the appropriate fees for checking and revising the inventory. The initial inventory fee is dependent on the size of the accommodation and time taken to prepare. An estimate of the cost can be given upon our inspection of the accommodation (usually approx. £120 to £360 including vat (i.e. £100 to £300 plus vat)). For meeting the tenant at the property for the purpose of handing over possession, going through the basic operations including the testing of smoke and carbon monoxide alarms – No Charge. For checking the inventory and accommodation for dilapidations, taking final readings of the utilities and receiving possession back of the property - £60 including vat (i.e. £50 plus vat). It is now a Legal requirement that an Energy Performance Certificate is available for all applicants to inspect when considering the purchase or rental of a property. If your property does not have a current Certificate available or you wish to have an up to date version produced to reflect changes to the property we would commission this to be completed the service also including a 3D floorplan for display within our sale particulars for the sum of £62.50 (Sixty Two Pounds Fifty Pence) (no vat). The Domestic Energy Assessor, Mr Stephen Lloyd of Convert EPC will account to you direct for this. Compliance is required with the Housing Act 2004 provisions (effective 5th April 2007). We are members of my deposits (www.mydeposits.co.uk) a Government authorised and Insurance based Tenancy Deposit Protection Scheme (for which we have to pay). This legislation affects all Landlords and any Agent acting for them. Fee £90 inc vat – (i.e. £75 plus vat). A deposit of not less than a sum equivalent of 1 months rent is taken from the tenant(s) and is held by us on behalf of the Landlord Client(s) within a Client Money Account as security for: (a) The performance of any obligations of the Tenant; or (b) The discharge of any liability of the Tenant’s, arising under or in connection with the tenancy. In the event of there being no dilapidations or other outstanding accounts/rent at the date of the termination of the tenancy then the deposit is repaid to the tenants in full without accrued interest. The interest is retained by us as Agents. In the event of an unresolvable dispute the Alternative Dispute Resolution Service (ADR) is available through mydeposits . As required under the RICS Rules of Professional Conduct and also the Code of Practice for Residential Estate Agents mandatory for all TPO (The Property Ombudsman) members we operate a Protected Client Account separate from our Business Account, specifically for holding deposits and rent payments. Full details of our Client Account can be provide upon request. A quarterly statement of account will be sent to the client together the net rental balance being paid direct into the client’s bank or building society account. 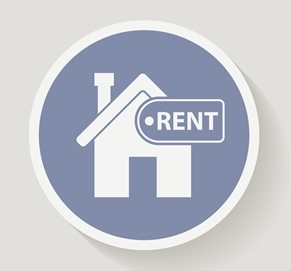 It is our normal practice to charge a rental exclusive of Council Tax and Water Rates with authorities being notified of tenants’ occupation so that they may be accounted to direct. It is also normal practice for gas and electricity supplies to be transferred to the name of the tenants. British Telecom will not accept third party instructions with regard to disconnection or connection of their services. Consequently any outgoing landlord/tenant has to request disconnection and forwarding of final accounts themselves and incoming tenants have to make their arrangements for line connection. The usual tenancy agreement stipulates that we as landlord’s Agents have the right to inspect the property at any reasonable time with notice and as part of our service regular inspections are carried out. Where a property is mortgaged permission should be sought from the Society/Bank to let the accommodation. Ample time should be allowed to obtain this consent prior to letting. Owners should ensure that the property and contents are adequately insured to cover a letting of the property. Clients may find that many insurance companies will not now be prepared to insure the contents of the property to be let. We would also suggest that cover be obtained for loss of rental in the event of the property becoming unlettable as a result of damage perhaps by fire, storm or burst pipes etc. Should an owner not be prepared to accept responsibility for maintenance of any items such as washing machines, electrical equipment etc, the Agent should be informed before the commencement of any tenancy so that these points may be included in any tenancy agreement. We would normally expect tenants to maintain the interior of the property to a standard and condition comparable to that at the start of any tenancy, allowing for fair wear and tear. The owner will be responsible for structural repairs and external maintenance etc. Where there are gardens to the property tenants will be expected to maintain these properly although a compromise is sometimes necessary regarding trees, hedges etc. When assessing the rental likely to be achieved it is necessary to take into account the type of applicants that the owner is prepared to consider and the availability of alternative properties at that time. This, together with the type of tenancy required, will be discussed at the time of our initial visit. From 6th April 1996 a scheme came into effect for taxing of UK rental income of non-residential Landlords. Letting agents or indeed tenants,(where there is no letting agent for a non-resident landlord), are obliged under the scheme to deduct tax from the landlords UK rental income and pay the tax to the Inland Revenue. This must be done for each quarter ending 30th June, 30th September, 31 December and 31st March. Letting Agents and tenants do not have to deduct tax from the rental income of a non-resident landlord if the Inland Revenue have told them, in writing, that the landlord is approved to receive the rental income with no tax deducted. Consequently non-resident landlords can apply to the Inland Revenue’s Financial Intermediaries and Claims Office (IFCO) for approval to receive their rental income with no tax deducted. We will be able to direct you in this respect and assist with the appropriate applications. For introducing and securing suitable Landlord approved Tenant(s), obtaining usual references and preparing Tenancy Agreements – In region of 12% including vat (i.e.10% plus vat) of annual rent agreed. Each property & proposed arrangement together with our fee is individually assessed following inspection. Compliance with Tenancy Deposit Protection Scheme (for which we have to pay) - £90 including vat (i.e. £75 plus vat). If release of deposit is to be disputed and mediation/referral necessary to the scheme – time charged at £90 per hour including vat (i.e. £75 per hour plus vat). Provision of Energy Performance Certificate if needed (as overleaf). The regulations do not apply to furniture made before 1950. Any furniture included in the property made since 1950 must meet the fire resistance requirements (if no fire label visible non - compliance must be assumed) or be removed. This requires annual inspection and certification of each appliance by a ‘Gas Safe’ Registered engineer who will issue the appropriate Gas Safety Certificate. It is the Landlords responsibility to ensure that the electrical installation and any appliance provided are safe when the tenancy begins & are in proper working order throughout the tenancy so as to be free of risk of injury to tenants & residents. The Local Authority can take action to enforce electrical safety in residential accommodation under the Housing Health & Safety Rating System. It is our recommendation that a Periodic (Inspection) Condition Report is obtained prior to a new tenancy & repeated every 5 years & any portable appliances also tested for safety together with any interim visual inspections completed by Landlord or Agent as necessary. Whilst Landlords have no legal obligation to have the electrical equipment tested Trading standards also recommend that electrical systems/equipment are regularly checked and there can be harsh penalties for Landlords/Agents found to be negligent or having failed to have shown due diligence. This Legislation was prepared in the light of the Housing Act 2004 and enforceable by the Local Authority. Designed to identify risks and reduce the number of accidents in the home. There are 29 potential hazards to be checked and a risk assessment should be carried out in all properties offered ‘to let’. This forms a key part of the Homes (Fitness for Human Habitation) Act 2019 which require compliance. Effective 1/10/2015 – 1. A smoke alarm is equipped on each storey of the premises on which there is a room used wholly or partly as living accommodation and 2. A carbon monoxide alarm is equipped in any room of the premises which is used wholly or partly as living accommodation & contains a solid fuel burning combustion appliance. (We are taking this further to include all fuel burning appliances that can emit Carbon Monoxide). Checks are to be made by or on behalf of the Landlord to ensure that each prescribed alarm is in proper working order on the day the tenancy begins if it is a new tenancy. The Health & Safety Executive state that the legal duty for Landlords who provide residential accommodation is to consider, assess & control the risks of exposure to Legionnaires’ Disease to their tenants. Avoid debris getting into the system (e.g. ensure the cold water tanks, where fitted, have a tight fitted lid). It is hoped that the aforegoing will give you a general outline of our Terms of Management and Services but we shall be pleased to discuss any matters in further detail or provide additional information that you may require. A copy of our standard agreement for management of property will be completed upon receipt of your instructions, together with general information relating to yourself and the property.